It appears Diamond Aircraft's initial hopes an amicable arrangement could be worked out, regarding the current financial mess at Thielert Aircraft Engines, may have been a bit optimistic. In a written update to customers sent Monday -- and obtained by ANN -- Diamond says the situation has gone from lousy, to worse... and the administrator tasked with handling Thielert's insolvency isn't going out of his way to help matters. "Over the past 10 days, Diamond senior management has been working diligently in an attempt to achieve a workable solution for DA42 and DA40 tdi owners on parts support and warranty," the company writes. "...Unfortunately, the results have not been positive, and we need to share with you what clearly is a very disappointing update. "Overall, we have the impression that the insolvency administrator is not able to nor interested in providing a path forward which makes current TAE engine operators and owners a priority. Instead, we are left with no choice but to conclude that their agenda is at odds with ours and yours, and that we will likely not get a workable solution from working with TAE and the administrator until after the end of preliminary insolvency, presumably in July." Diamond states it explored a number of options to deal with the Thielert insolvency -- including the purchase of a number of Centurion 1.7 and Centurion 2.0 engines to get AOG aircraft flying again, and obtaining a sizable inventory of spare parts. The planemaker also proposed paying for costs to overhaul returned parts, with Thielert paying for labor to install those parts... as spelled out in the insolvency agreement. 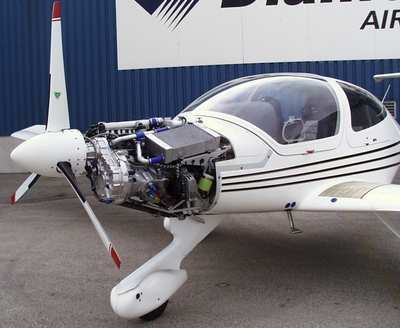 "Our clearly expressed goal has been to devise a plan which helps DA42 and DA40 tdi customers, paves a way for continued production of Diamond aircraft with TAE engines, and simultaneously enables TAE to continue operations and protect their market position as much as possible by doing their best to serve our joint customers," the company states. "Unfortunately, the insolvency administration has not accepted any part of our proposal. 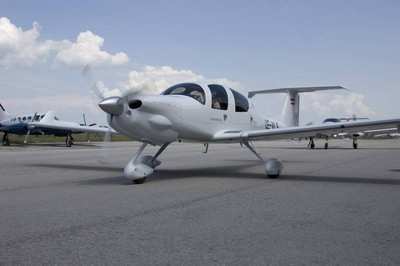 "Instead, we have gained the impression, based on several actions taken, that the goal of the administration is to maximize near-term cash flow from what they seem to view a 'captive' audience – i.e., operators of Diamond aircraft with TAE engines, whose only choice is to park an AOG aircraft or pay whatever price TAE may ask for parts." Noting that Thielert has also cancelled all previous agreements to guarantee parts deliveries -- and has significantly hiked its prices for inspections AND parts -- Diamond also took the drastic step of "strongly" advising customers ordering parts or services from Thielert to "get a written confirmation from the office of Dr. Kuebler, the insolvency administrator, confirming completeness of the order, suitable airworthiness certification, firm delivery date, confirmation of availability of all required materials and resources to produce the ordered parts, return of any customer owned parts sent for repair/inspection, and cash credit (vs credit on account) of any cores returned to TAE." Diamond states its hands are tied in regards to helping customers facing current warranty, service, or support issues get what had been promised to them. The planemaker notes German law prohibits the insolvency administrator from granting preferred status or treatment to any creditor -- meaning other Thielert clients are also in the same boat. "We are painfully aware that this is a very difficult situation – effectively, Diamond and its customers are victims to actions beyond our control," the planemaker says. "The TAE insolvency was not foreseeable from our perspective: TAE was a respected, publicly traded company with significant customers including Cirrus, Cessna, General Atomics and others." 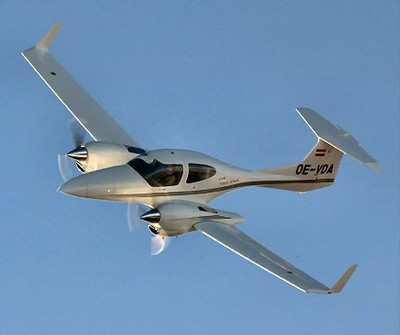 Alas, Diamond says production of its DA40 tdi and the popular DA42 TwinStar have been suspended indefinitely, until a reliable supply of engines and parts can be reestablished. "Unfortunately, given the handling of the situation to date, we are less confident that production can be resumed in the near term," Diamond adds. But there is a ray of hope on the horizon, the planemaker adds... one that probably places Diamond in a better position than some other Thielert customers. 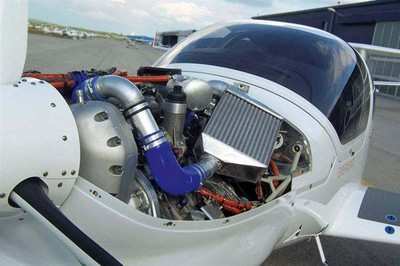 "Certification of the engine in Europe, under EASA rules, is expected later this summer. 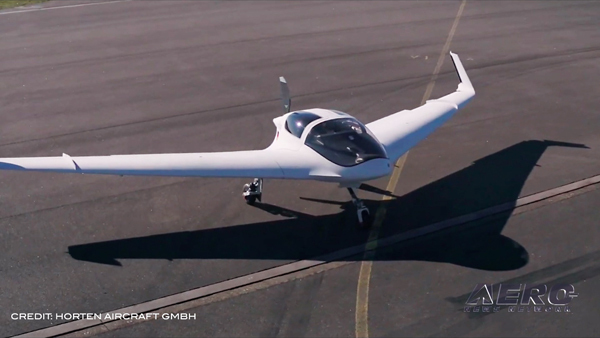 Certification of new DA40s and DA42s with the Austro engine (shown below) is expected under EASA rules (i.e., for the European market) late in 2008, with FAA validation to follow ASAP," Diamond continues. 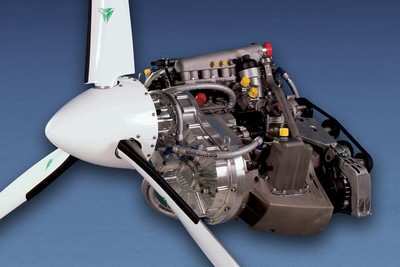 "It is our intent to offer retrofit kits for all DA42’s, which would replace the current TAE power plant with a 170hp AEG engine, when such a retrofit kit is certified. 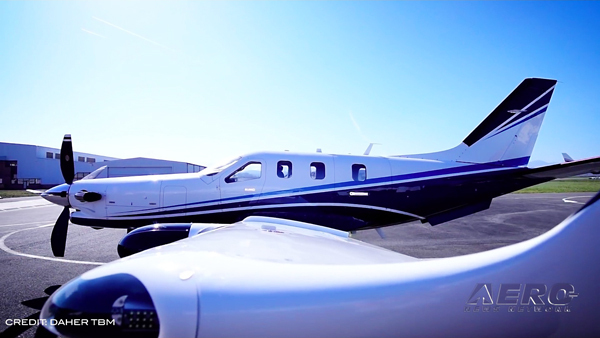 "In consideration of the current situation we will make every effort to offer special price and schedule consideration to current DA42 customers that opt for an AEG retrofit kit," Diamond adds. 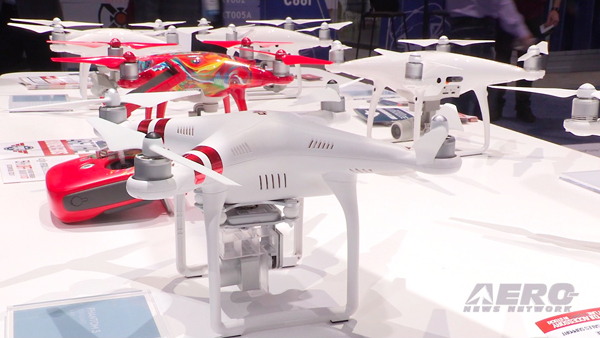 Diamond also repeated its request to current Diamond owners to provide the company with status information for their aircraft. "We are still missing this information for a number of customers, and will be following up with you to obtain it. It is critical for us to know as well as possible when aircraft are coming due for inspections, so we can make the case for parts, and be able to project the financial implications of any financial support we might offer our DA42 owners in the future. "In closing, please let us assure you that the TAE situation has the highest attention from everybody in Diamond’s senior management. We are doing our best to work in this difficult situation, and can only ask that you understand that while we would like to do more, to get you engines and parts faster, we can only impress the importance and priority of providing AOG parts in a timely manner to TAE and the insolvency administrator."